Simon graduated from the University of South Australia in 2007. He has practiced in the profession for 9 years, and during this time he has worked in a number of locations throughout Adelaide and regional South Australia. 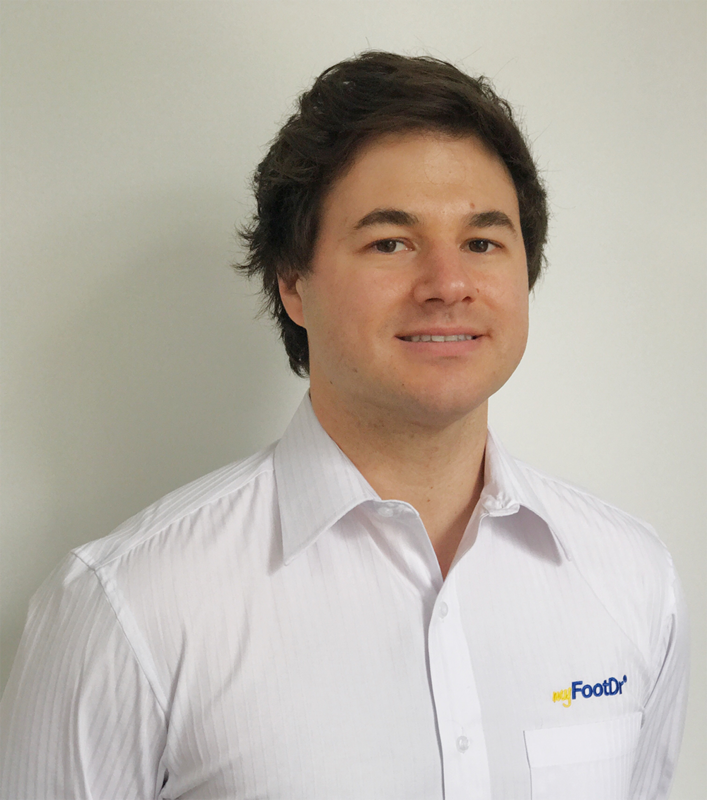 Simon has a special interest in biomechanics, with a focus on overuse injuries of the feet and legs. Other interest areas include sports injuries and nail surgery. Simon currently resides in the Adelaide Hills with his wife Ariana, their young daughter, and two Labradors. Outside of the work place, Simon is an avid car enthusiast and regularly participates in motorsports events throughout SA. He is also a keen follower of Australian Rules Football. Simon is available at our Christies Beach location.